Insects have always been a good place for the people who make comic books to delve into for inspiration. There have been heroes and villains that were based on insects. That’s because insects are amazing creatures, capable of amazing things. A human with the powers of many insects could have superhuman strength, the power of flight and or even the ability to stick to walls and ceilings. Those traits are always good for comic book superheroes. One of the most famous superhero groups in comics is The Avengers. The Avengers were created when Stan Lee and those early Marvel creators noticed that sales went up every time one of their heroes appeared in another hero’s comic book. Why not create a permanent team of heroes from other books? Thus, the Avengers was born. The 2012 major motion picture, The Avengers, set box office records and grossed over $1.5 billion worldwide. Marvel’s latest blockbuster featuring members of the superhero team, Captain America: Civil War, opens in theaters on May 6th. In the forty years since the Avengers were first created, there have been, from the start, several insect-related heroes. Here’s that list. He got his own movie not that long ago and it was a huge success. He is now slated to appear in the upcoming Captain America movie as an official part of the Avengers. He was also in the very first issue of the Avengers comic because Ant-Man was one of the first heroes Marvel ever created. In the comics, he’s Henry “Hank” Pym who develops something called the “Pym Particles” that allow him to shrink down to the size of an ant, but maintain his full-sized strength. He also has a cybernetic helmet that lets him communicate and control ants. He becomes a valued member of the team, although he later used the particles to grow to giant sized to become Giant-Man. Aqua-Bunny Man captures the #Wasp#Marvel‘s second ever crossover! Hank Pym has a glamorous girlfriend in the comics named Janet Van Dyne. He performs experiments on her that allow her to shrink, gain strength as she does, and little wasp-like wings pop out of her shoulder so she can fly. Wasp originally has wrist-devices that shoot needles that can knock a bad guy out, which later become energy blasters – cuz, comics. Marital troubles between Wasp and Ant-Man becomes a key story line for the entire team in the 70’s and early 80’s. Hank Pym (Ant-Man) again – at least in the comic books. This time he uses the same material he used to help make his wife the Wasp to allow him to shrink down and fly. He adds the wrist blasters, too. The problem is that Pym goes a little crazy and ends up endangering the entire team with a manufactured crisis and he is forced off in shame. Others have taken up the mantle of Yellowjacket and wore the costume to become the team’s weapons and tech specialist. 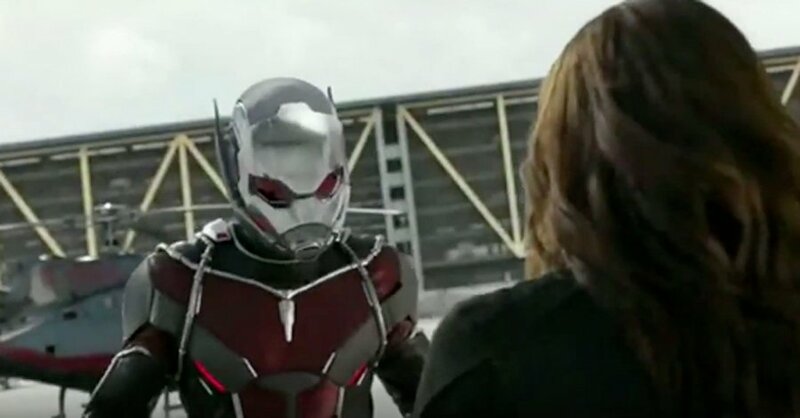 In the comics, it’s Pym who ends up creating the evil robot Ultron (not Tony Stark). Before someone even mentions it – we know that spiders are not technically insects, but non-insect arthropods. Regardless, the Black Widow is on our list. Natasha Romanova (AKA Black Widow) is sort of forced on the Avengers as a member during one point when the government takes control of the team. She is a former Soviet agent and spy who fought Iron Man, before she gets her costume and abilities. She is a highly trained hand-to-hand combatant, wears wrist blasters known as her “widow’s bite” and her costume has microscopic suction cups on the feet and hands so she can stick to walls and ceilings like the spider species to which she owes her superhero name. She serves in good standing before ultimately teaming up with, and falling in love with, the hero Daredevil. In the comics, anyway. A comic book hero created specifically for the Avengers and who had not appeared anywhere else. Her story is still one that baffles the mind. She is a half-Vietnamese, half-German daughter of a man who is actually a super villain. She grows up in a temple in Vietnam, where she is trained by the priests to become a formidable martial artist. Mantis is trained to sense weak points in any opponent she faces, so she can take down beings as strong as the Hulk by hitting pressure points just right. Oh, and she can also sense feelings and emotions from plants. She becomes part of the Avengers for a time during the 70s where she is eventually contacted by a plant-based race of aliens known as the Cotati. They also claim she is something known as the Celestial Madonna. Don’t ask. She is eventually transformed into pure energy and taken away to the alien’s planet, but comes back later on to help the Avengers at some point. The only thing truly Mantis-like thing about her is the weird antennae that come out of her head (the exact purpose of her antennae is never made clear). So, when you head out to see the Avengers fighting each other during Captain America: Civil War remember that their ranks, at least in the comics, have been filled by many a hero who has borrowed their abilities from insects – or pests, depending on your view. Meanwhile, if you have any of these insects around your home or business and they are becoming pests, be sure to contact us for an inspection and to discuss treatment options.